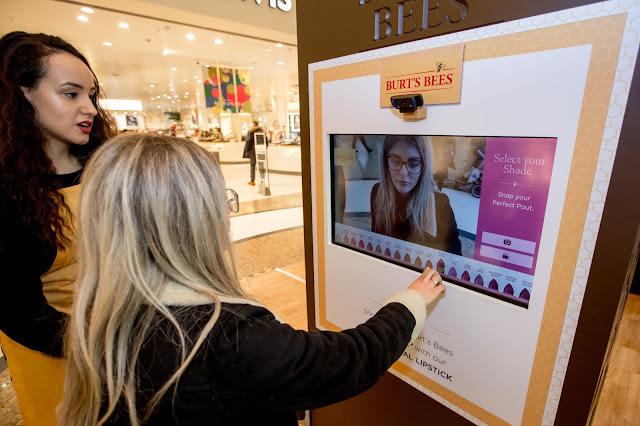 Calling all my fellow Scots and those who may just be in town for the next few days (if not don't worry there will be other locations and dates added to the tour), Burt's Bees will be bringing their interactive Wall of Kisses to no other than Buchanan Galleries, Glasgow, to celebrate the launch of their new lipstick collection from the 3rd-5th of March. 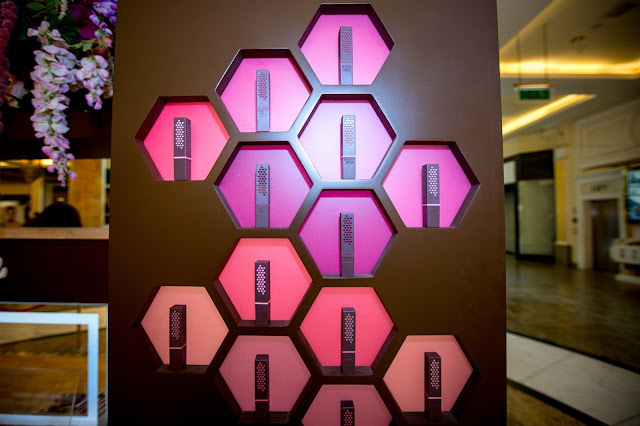 If you are available to pop along not only can you see all 18 shades of the new lipstick in person but you can of course try on as many as you like and have a mini lip consultation with a make-up artist on hand. 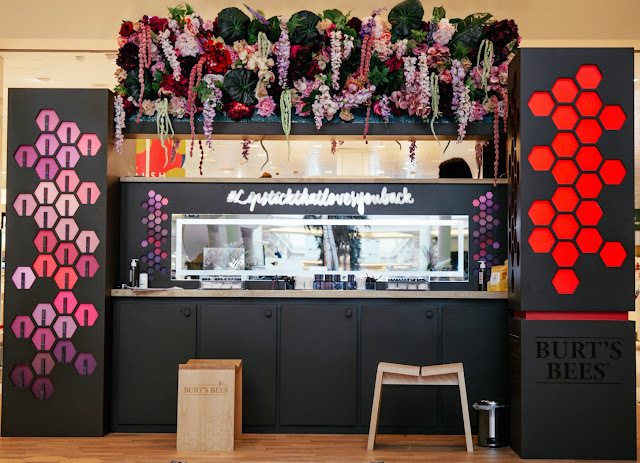 As mentioned there is a interactive wall of kisses, which will display images and gifs created at the Burt's Bees pop up which will then be emailed directly to your inbox so you can upload your creation onto Twitter and/or Instagram to be in with the chance to win all 18 shades worth no less than £178. I promise it will be a lot of fun - who doesn't love lipstick? - and it would be lovely to say hello in person - I will be at the Burt's Bees Pop Up at Buchanan Galleries, Glasgow (ground floor) tomorrow so if you can, please drop by. For those not local, I will update in the next few days with a list of further locations within the U.K or of course you can shop all 18 shades of the new lipstick for £9.99 each here - link.